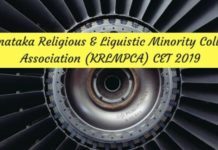 The KRLMPCA UGCET 2018 Result has announced by the Karnataka Religious & Linguistic Minority Professional Colleges Association. It is announced on the official website of KRLMPCA at kmca.info. 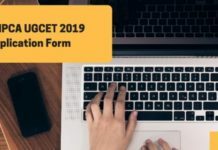 The result of UGECET 2018 shall also be displayed in the form of a merit list. The merit list based on the candidate’s scores secured in the entrance examination. After the declaration of the result, the entrants are able to download the scorecard from the official website. The result is be evaluated on the basis of the performance of the candidate in the Common Entrance Test. The KRLMPCA UGCET 2018 Result has been announced. Now, The qualified candidates will further be called for the counselling round for the admission in the engineering course in various recognized institutions. To download the scorecard of the result, candidates need to enter the login credentials. No results shall be displayed at the exam centres. The date for the declaration of the result is mentioned below in the table. Candidates now able to check their result form the link which is updated below. 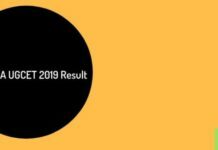 Result: Click Here to download the KRLMPCA UGCET 2018 result. The result is displayed through online mode i.e., on the official website. No results will be intimated through post, emails, SMS or any other medium. Visit the direct link that is mentioned above. Candidates then directed to the result page. Now enter the login credentials as Email ID, Mobile number, and Date of Birth. Click on the submit button and download the scorecard. Take a printout of the result and retain it till the admission. There is no provision to for Retotalling and Revaluation of OMR sheets. Request for the same shall not be entertained by the association. This is because the evaluation and the subsequent scoring is on scanning method. After the successful declaration of the KRLMPCA UGCET 2018 result. The qualified candidates will be called for the interview round probably in the 2nd week of July. The counselling round may be conducted through the online mode. The counselling will be done for selection of engineering seats in the member institutes.